Students will understand and recognize the similarities and differences between similes and metaphors. 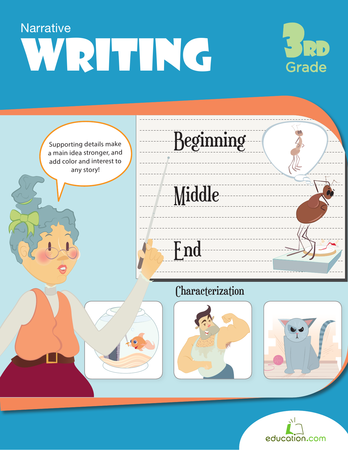 Have students each create a T-chart on lined paper to compare and contrast the similarities and differences between similes and metaphors. Create a T-chart on the board. 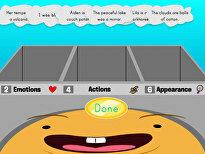 Have students volunteer to share their thoughts and create a class version of their T-charts. Advise students to add to their charts as needed. Explain to students that in this lesson, they will identify and explain the meanings of similes and metaphors and create a writing of their own that uses both. 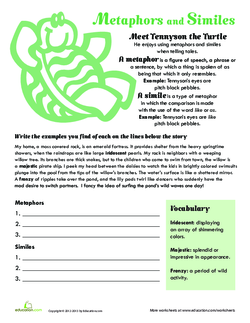 Have a student volunteer read the story on the Metaphors and Similes worksheet. Have students identify the similes and metaphors in the story by underlining them and writing them on the spaces provided on the worksheet. 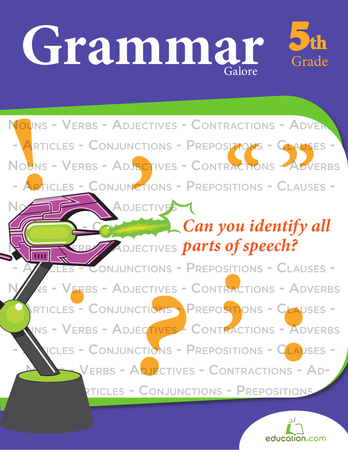 Guide students as they identify the examples of each by reminding them that similes use “like or “as” and metaphors do not. 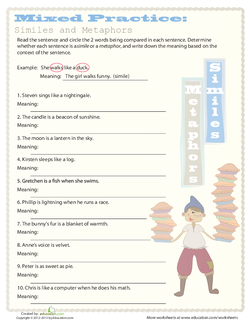 Have students work in pairs or small groups to complete the Mixed Practice: Similes and Metaphors worksheet. 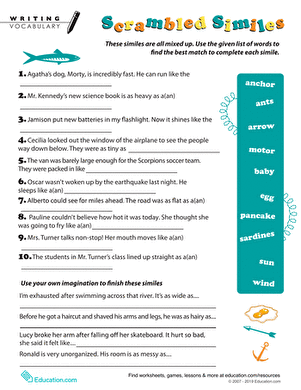 Tell students that this assignment will require them to use these literary devices in their own writing. You can provide students with a topic or allow them to choose their own topics. Have students write a short paper that includes a minimum of five metaphors and five similes. Enrichment: Allow advanced students to create a product of their choosing that demonstrates their knowledge of the two figurative devices. 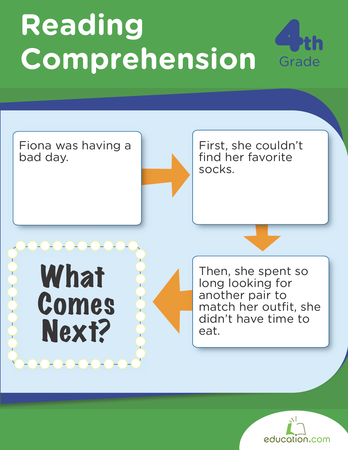 Support: Have struggling students create a simile vs. metaphor anchor chart as a graphic organizer to be used throughout the lesson. It should remind them of the similarities and differences between the two. Review the basic similarities and differences between similes and metaphors again. Have students create a Frayer Model for each of the two terms. Have students explain in their own words what they learned today . Allow students to ask questions that they still have.